To improve the quality of the Amphi Festival and make you take part in planning the next years festival please fill in the form below. 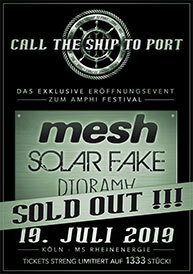 We raffle 5x2 Vip-Tickets for the Amphi Festival 2019 among all participants! Personal data will be kept strictly confidential! Which bands/artists did you like best? Which bands/artists did you like least? What did you enjoy the most about the Amphi Festival 2018 (in keywords)? 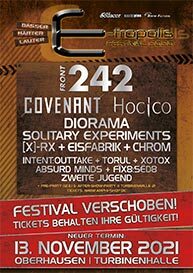 What did you enjoy the least about the Amphi Festival 2018 (in keywords)? 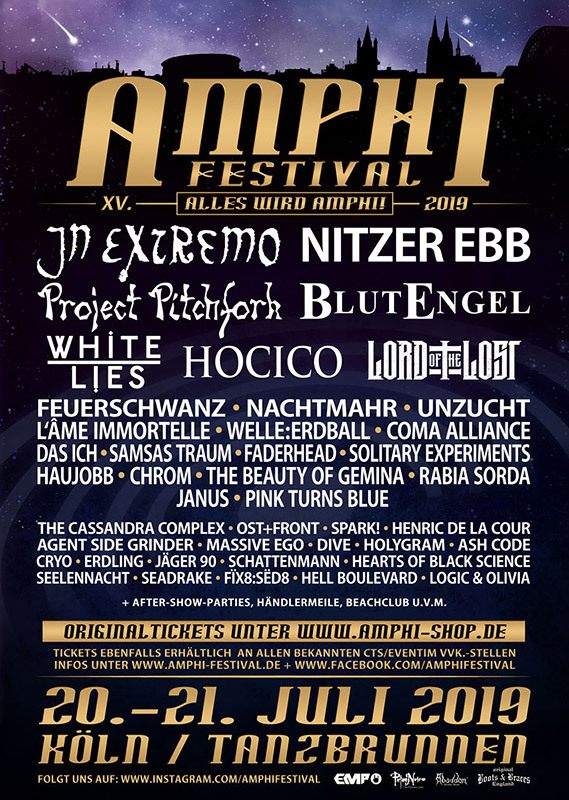 Which improvements / novelties would you like to see at Amphi Festival 2019 (in keywords)? 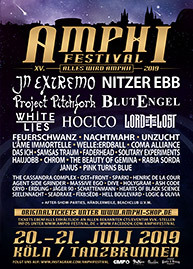 I am going to visit the Amphi Festival 2019? Which festivals did you attend in 2018 so far and which festivals do you visit next in 2018? Which bands would you like to see at the Amphi Festival 2019?